A look at the 7 villages of Hatteras Island, how they differ, and what amenities and attractions they feature. Hatteras Island, North Carolina — Everyone knows Hatteras Island can be categorized as its own little world, but the seven villages that are scattered along the 70 miles of seashore are unique and different in their own right. When planning a Hatteras Island vacation, it’s all about location, and your first step should be selecting the island town that’s perfect for your family. Here’s an insider’s look at the different Hatteras Island towns to help you make your vacation decision. Rodanthe, Waves & Salvo: While there are no spaces in between or signs to mark the distinction, the first “town” you encounter after the Bonner Bridge is actually a trio of villages. Rodanthe, Waves and Salvo are closest to the activity and attractions in the Northern beaches just 20 miles away, but are secluded, quiet, and a stark contrast to the bustle of the Northern Outer Banks. Here, you’ll find miles of private beaches, small stores and restaurants, and close access to the Pea Island National Wildlife refuge, a bird watcher’s paradise. Need an excuse for a winter break? 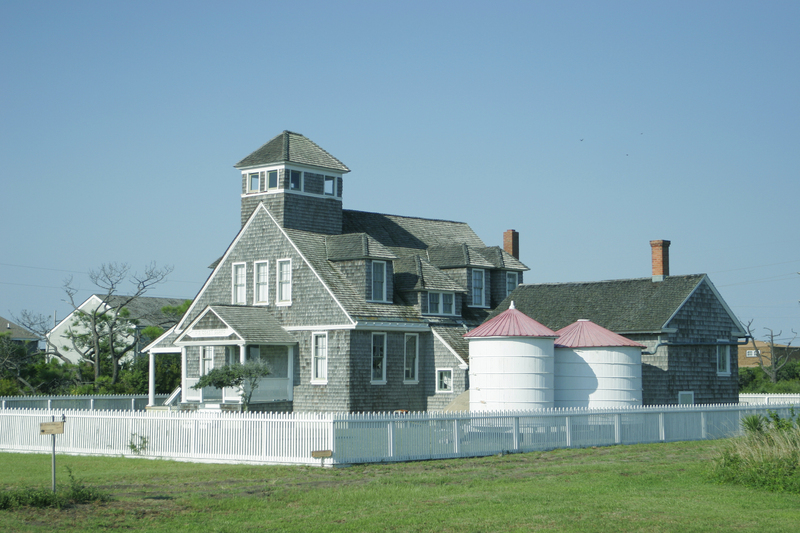 One of the best times to visit the historic Chicamacomico Lifesaving Station in Rodanthe is during the holidays, when the station is lit up in postcard-worthy lights and décor. Avon: Right in the center of it all, Avon could be considered Hatteras Island’s “hub.” In Avon you’ll find the island’s only chain grocery store with adjacent shops and restaurants, the movie theatre, the only chain fast food restaurant (Subway), and Hatteras Island’s two stop lights. But don’t let these amenities fool you: Avon is a laid back, quiet destination with well-kept neighborhoods and subdivisions off of NC Highway 12, ideal for strolling. Take a biking tour through sound side Avon Village and discover historic homes and Avon’s famous and still functioning red harbor house, where the catch of the day is still sold fresh off the dock by the original owner’s grandchildren. Buxton: Best known for being the Cape Hatteras Lighthouse’s hometown, Buxton beach houses offer the best lighthouse views and access, as well as close proximity to “The Point.” The Point is the beach directly on the geographical turning point of Hatteras Island, and is famous as one of the East Coast’s best surf fishing destinations. (Be sure to bring your truck- the Point is only accessible via a 4-wheel-drive vehicle.) Surfers flock to Buxton too because with both North and South facing beaches, a wave can always be found. Nature fans will love the secretive & windy little trails both by the lighthouse and along the small roads in Buxton Woods. Have fun exploring, but be sure to bring along the bug spray. Frisco: Frisco combines everything “Hatteras Island” into one small town- maritime forests, winding soundside canals, and nice ocean beaches complete with a fishing pier. Frisco has a small variety of stores and restaurants, and also Hatteras Island’s only airport, technically a small landing strip tucked into the dunes. It’s a perfect town if you want to be a quick drive away from stores and restaurants, but feel a million miles away. Be sure to bring your boat or kayak. 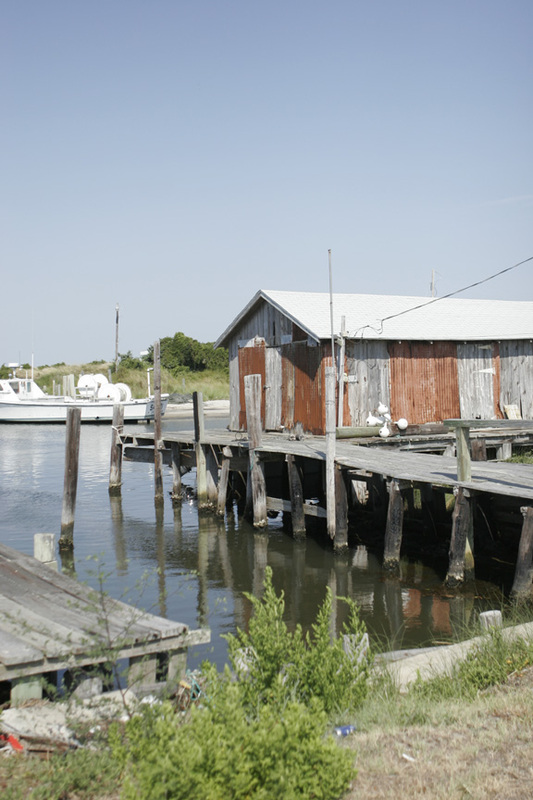 Many of Frisco’s sound side homes have bulk headed docks and quick and easy access to the Pamlico Sound. To be certain, ask your rental company about boating access while making your reservation. 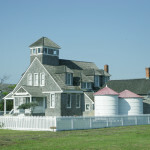 Hatteras: Hatteras is best known as a historic fishing village, and its character compliments this title. 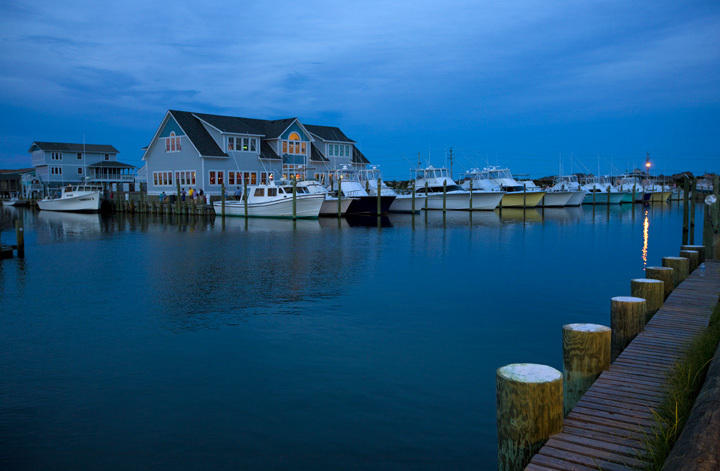 Proud of its maritime history, in Hatteras you’ll find the Maritime Museum, the Hatteras Island Library, and dozens of charter boats and fishing marinas that keep the tradition alive. With just a few small local stores and restaurants, and a landscape dotted with boats and water, Hatteras Village looks and feels like a world all its own. 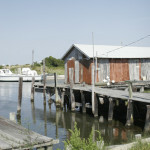 Be sure to stop by Teaches’ Lair Marina at 4:00 p.m. and watch the boats bring in the day’s catch. You’re sure to be inspired to book a charter book fishing expedition of your own. Regardless of which town you choose, the guest service representatives at your rental company can answer questions on locations, amenities and activities. Don’t be afraid to ask questions, and don’t forget that picking the perfect location is half the fun of planning your vacation. Surf or Sound Realty, Hatteras Island’s premier vacation rental property manager has been serving thousands of happy Hatteras Island vacationers each year since 1978. With two convenient offices in Avon and Salvo, Surf or Sound manages nearly 500 vacation homes located in each of Hatteras Island’s seven charming villages. Guests can choose from 2 bedroom condos to 12 bedroom estates on the oceanfront, soundfront and everywhere in between. Many homes feature private swimming pools, wireless internet, elevators, linens, game rooms with pool tables and state of the art home theaters.